IPM as mentioned earlier is a combination of various techniques with the objective of bringing pests to a threshold level. Moreover the set of techniques provide a structural based solution to the problem which is a long-term approach when it comes to a persistent problem like pests. Completely relying on chemicals may not be an optimum solution. This is why IPM has been acknowledge as a set of best practices in the pest control industry globally. This is the first stage of the IPM program that mainly includes a pilot study of the targeted vicinity and developing an evaluation report. This basic assessment assists the pest control operators to design an optimum pest control strategy with respect to the type of pest involved and structural problems aiding the infiltration. Detecting alive or dead pest, droppings, feces, insect skins, damages, marks, stains or parts of body etc. Finding Harborages that means finding entry into structure & moisture source. Collecting information from workers or residents at site. This phase involves determination of the risks associated with current building structure, existing pest infestation, conditions conducive to pests and risk associated with geography. A report is prepared based on this evaluation to further develop a pest control strategy. After detailed inspection and analysis the findings lead to formulation of an optimum pest control strategy. This phase includes the actual execution of this plan. It is comprised of two parts prevention and control. 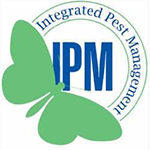 Aim of IPM program is to focus on preventive measures that can control the penetration of pests. This is an ongoing practice and needs to be continuously developed with the changing environmental factors. The prevention step involved three standardized procedures. In addition to prevention a key activity in IPM plan is controlling the pests that have gained entry in the vicinity. The control measures are comprised of physical as well as chemical controls. Physical Control: Physical control is preferred over the chemical control and includes setting traps, glue boards or using other mechanical devices to reduce pest populations. In some situations, physical control also involves the use of heat and cold to manage pests. Physical control can also include nest removal using high pressure streams of water or manual methods (e.g., pole and hook). Cultural Controls : Cultural controls are practices that addresses pest foundation, generation, dispersal, and survival. For instance, changing watering system practices can diminish bug issues, subsequent to an excess of water can expand root malady and weeds. Biological Controls: This is an organic control that includes the the utilization of nature’s system of enemies—predators, parasites and contenders— in order to control pests. Spineless creatures, plant pathogens, nematodes, weeds, and vertebrates have numerous common adversaries that may be used against each other. This is an eco-friendly pest management practice which is useful to be implemented when high environment or health risk is involved. This is continuous phase that ensures that the pest control strategy is giving expected results and can report any left out loopholes in the preliminary analysis. This phase also helps in identifying any new external factors such as climate and change in infrastructure of the vicinity that may perpetuate pest issue. In addition to continuous monitor a communication plan is also devised that assists in keeping concerned authorities in loop. This step involves trapping, sighting, and recording observations. Trapped pest can give you breed study, level of infestation and confirmation whether it is in-house breeding or not. Recording all observations of inspection and actions should be documented to have a well monitored system. IPM manual emphasize on the use of standardized applications procedure of any pesticide so that the implications are the minimum. The techniques are outlined below. Baiting – Food mixed with pesticides is used to kill the pests. It can be in solid, liquid or gel forms. Following a standardized procedure at UPM it is essential for every member of pest control team to obtain the training certificate before any pesticide application. Pesticide applicators must pass a pesticide applicator certification exam to become certified. This certification authorizes the applicator to use public health and other pesticides. These certification exams involve a written and practical test.